TotalFinder is a program that is capable enough for extending the overall functionality of Finder. This is the reason the program is called as TotalFinder (By Binary Age). 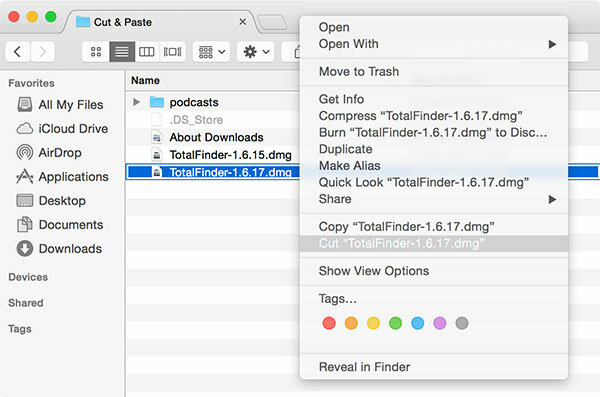 The major objective that Total Finder serves is providing the user with tweaks. With the help of tweaks the entire program becomes more useful than the finder itself. Moreover, the features delivered by Total Finder are much better than those delivered by the Finder. TotalFinder functions similar to the traditional Finder but comes with some additional features like dual panel mode, tabs, folders on the top and several other handy features. Below, we have listed some important features of Total Finder. In case you are using the column view in the TotalFinder you will no longer have to adjust or resize every time to read the full file name. However, in few cases the width of the file names are massive, in such a case you can set the maximum and minimum widths with total ease. Now you can use Cut and Paste feature to move files faster. You can use keyboard shortcuts to move files around. Faster than drag & drop. Now you no longer have to waste your time searching for some particular folder, all accredited to the sidebar icons. There you will find a list of folders that you place there. You can even use custom colored icons to simplify your search. 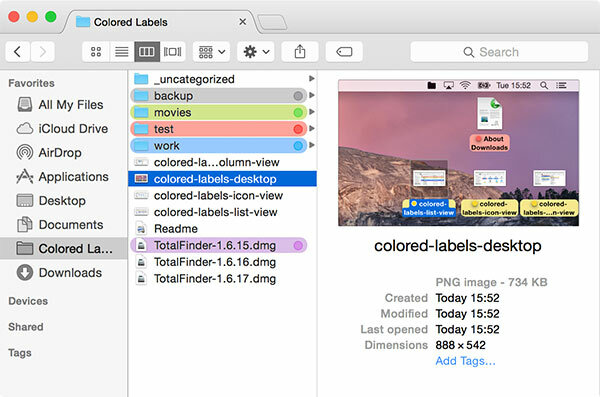 To get access to the color icons you simply have to open the Finder Preferences and then choose the TotalFinder tab. Thereafter you can select the Sidebar from the basic section and tick the box next to the ‘show sidebar icons in color. This is an exceptionally useful feature of TotalFinder. In case you are working on two different locations on the network then you can simply move from one location to another as 2 locations would be available for access using this feature of TotalFinder. You can switch between modes using the keyboard shortcut Command U. In the dual mode the sidebar for the right window is available on the right side and for the left window is available on the left side. However, it might get tricky sometimes as the files cascade from left to right when you’re working in the column view. The remedy for this would be thickening the size of the divider. This is a good feature however those who have already adapted themselves to viewing the folders in the alphabetical order and intermixed with the files (all of it alphabetical order), will find it difficult to cope up with this feature. You might face lag time when trying to re-arrange the files in the sidebar. However, it is not yet clear whether this issue is an issue posed by Mavericks Finder or an issue of TotalFinder. The developers are trying hard to resolve the issue. TotalFinder is an easy to use program that comes with some of the handiest features. Above, we have provided all the basic details regarding TotalFinder that one should know. We hope now the choice to use this program would have been simplified for you.